Last fall, D’Artagnan hosted a knife-to-knife battle of international butchery at the Meat Hook in Brooklyn. Rock star Brooklyn butcher, Tom Mylan, held it down for the states while legendary French butcher Yves-Marie Le Bourdonnec represented les bleus. Check it out….. 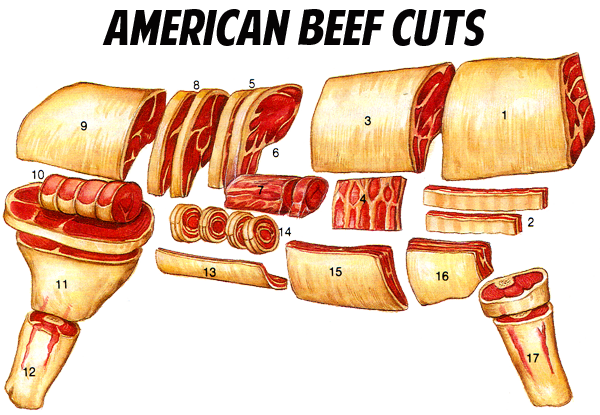 Here are some groovy diagrams showing basic beef cuts from both France and the US. 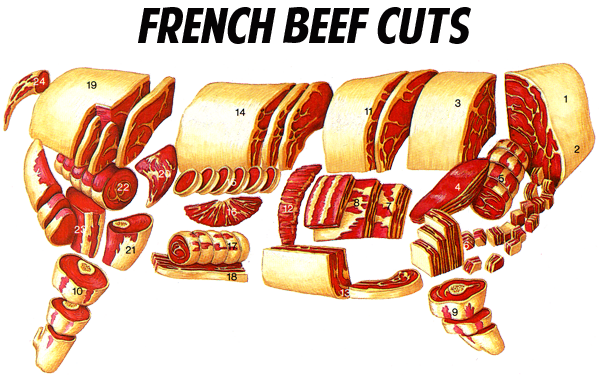 Images courtesy of Larousse Gastronomique.